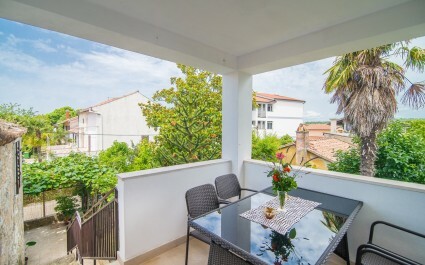 On our site you'll find a list of apartments in Vrsar and Funtana at affordable prices, including guest reviews! 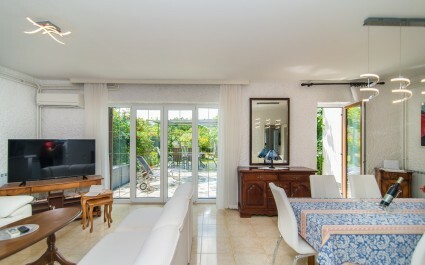 We are pleased that you would like to spend your holiday in Istria - a destination that will delight visitors with its wonderful offer of villas! Funtana and Vrsar are well known fishing and tourist destionations settled on the west coast of Istria between Rovinj and Porec. Vrsar is a city with a rich culture, a colorful history and a long tradition in tourism. It's located on a hill, from which extends a beautiful view of the Vrsar archipelago. 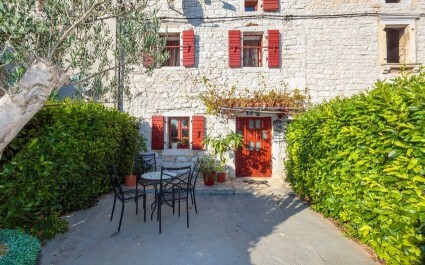 Holiday houses are mostly located in small villages near Funtana and Vrsar. The narrow streets of the old town lead to stone houses, a Romanesque castle and a pavilion. The panoramic view of the coast of Vrsar is spectacular. 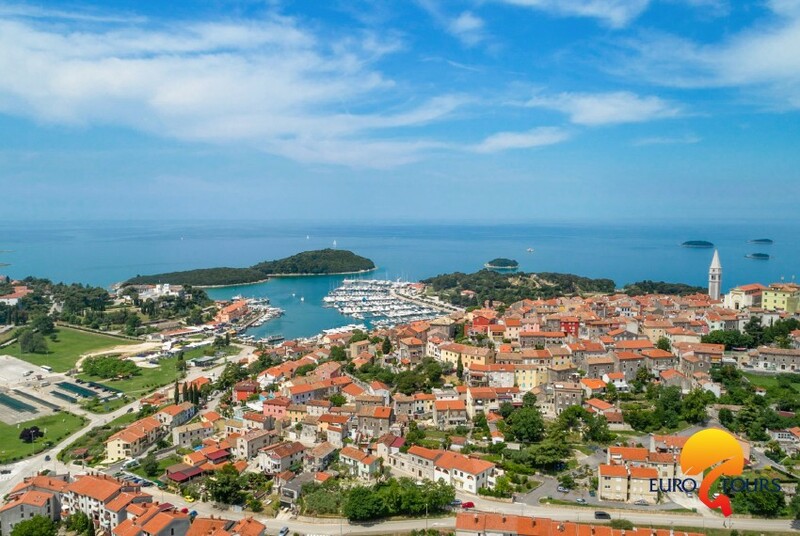 The area of ​​Vrsar and Funtana adorns the most beautiful coast of Istria and one of the most beautiful archipelagos of the Mediterranean. It consists of 18 uninhabited islands surrounded by the crystal clear Adriatic Sea. Vrsar and Funtana offer numerous dining options: restaurants, bars, bistros, pizzerias and taverns, especially along the promenade by the sea. Aquacolors Park is one of two amusement park in Istria that's located near Vrsar and Funtena. Poreč and Zelena Laguna are an ideal place for party lovers considering its numerous disco clubs and beach bars. Choose Vrsar - the city that inspires! 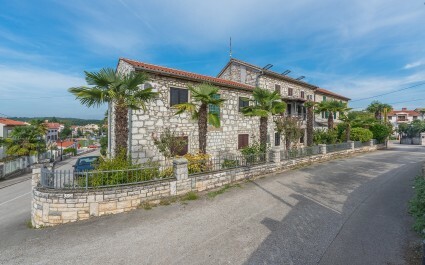 Vrsar - one of the most beautiful hilly cities in Istria located north of Lim Bay. The view from the hill is really great - 18 beautiful "floating" islands under the warm sun will inspire you. Coast of Funtana is still, as it once was, extremely rich in seafood, making any restaurant visit a wonderful gastronomic experience. Vrsar is now a popular seaport. The most famous and oldest nudist resorts in Europe is located in Vrsar. It was also named the most prosperous place in the country, justifying the efforts of its inhabitants for the most beautiful and enjoyable stay. 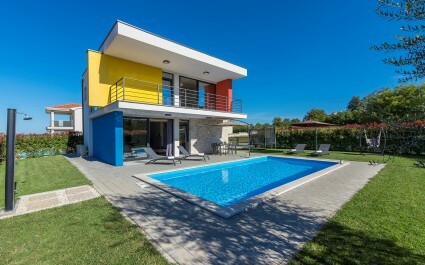 Holiday homes with pool are mostly located in the surrounding areas near Vrsar. The surrounding villages such as Gradina, Flengi and Klostar will delight you with their gastronomic offer. 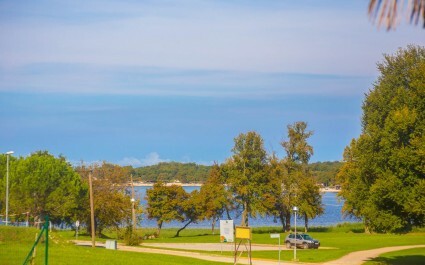 Funtana has grown from a modest fishing village into one of the most famous summer holiday resorts in Istria. A small Mediterranean town with fertile and sunny land where quality wine and olive trees are bred, offers rich gastronomic choice that are real trademarks of Funtana region. Beacuse of its beautiful clean sea, the tradition of fishing has been preserved to this day. In many restaurants and taverns of Funtana you will find a numerous flavors and original preparation methods for seafood specialties and homemade pasta, accompanied by excellent wines - especially Malvasia and Teran. 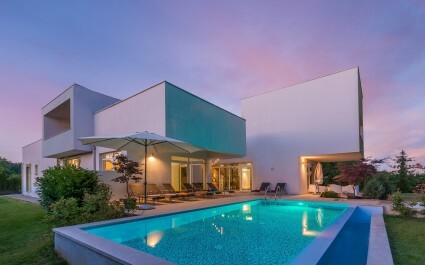 Staying in some holiday homes or villas with pool in the Funtana region won't disappoint you. For active vacationers Funtana and its surroundings offer many leisure activites such as: bike paths, wine roads, water sports, waterpark Aquacolors.